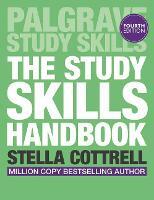 This is the ultimate guide to study skills, written by international best-selling author Stella Cottrell. Her tried and tested approach, based on over twenty years' experience of working with students, has helped over a million students to achieve their potential. When it comes to studying, there is no one-size fits all approach. This accessible guide shows students how to tailor their learning to their individual needs in order to boost their grades, build their confidence and increase their employability. Fully revised for the fourth edition, it contains everything students need to succeed. This is an invaluable resource for undergraduate students of all disciplines, and is also ideal for postgraduates, mature students and international students. 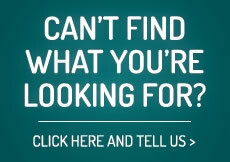 It prepares students for what to expect before, during and after their studies at university. Acknowledgements.- Introducing The Study Skills Handbook.- PART 1: MANAGING YOURSELF FOR STUDY.- 1. Success as a Student.- 2. Developing Your Skills.- 3. Successful Study: Intelligence, Strategy and Personalised Learning.- 4. The CREAM Strategy for Learning.- 5. Time Management as a Student.- PART II: ACADEMIC SKILLS.- 6. Core Research Skills: Reading, Note-Making and Managing Information.- 7. Critical Analytical Thinking.- 8. Memory.- 9. Confidence with Numbers.- PART III: PEOPLE SKILLS.- 10. Working with Others: Collaborative Study.- PART IV: TASK MANAGEMENT SKILLS.- 11. Writing at University Level.- 12. Developing Academic Writing.- 13. Research Projects, Case Studies and Dissertations.- 14. Revision and Exams.- PART V: DRAWING IT TOGETHER.- 15. Planning Your Next Move.- Appendix 1 Quick Multiplier.- Appendix 2 Online Research Tools.- Appendix 3 Further Resources on Managing and Studying as a Student.- Glossary of Terms Useful to Know in Higher Education.- Answers to Activities.- References.- Index.